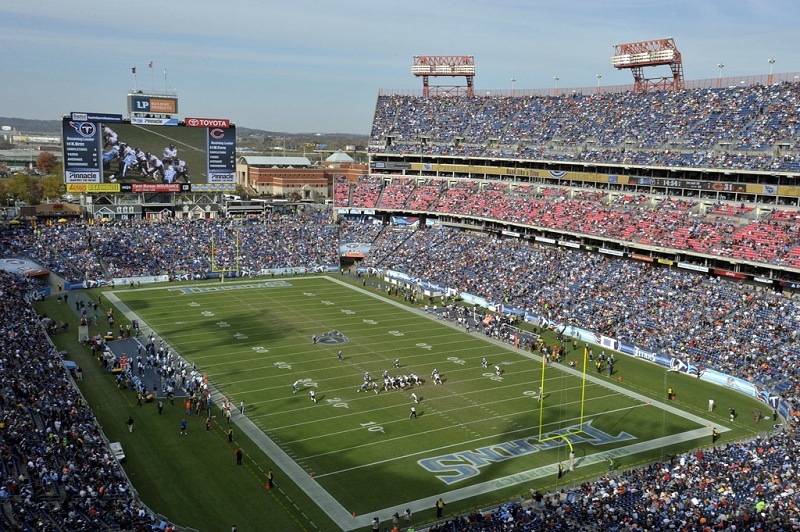 Located in the Music City along the banks of the Cumberland River and across from downtown Nashville, Nissan Stadium has been the home of the Titans since 1999. The history of the team dates back to 1960, when they were known as the Oilers and played in Houston. For over 25 seasons the Oilers played at the Astrodome, the first multipurpose dome stadium in the country. By the mid 1980s the Oilers, owned by Bud Adams, became dissatisfied with the Astrodome as it was one of the smallest stadiums in the NFL. In 1987, Adams threatened to move the Oilers to Jacksonville. However, after he voiced his idea, Houston officials renovated the Astrodome adding 10,000 seats and additional luxury suites. Adams was not satisfied with the additions for long. In the 1990s he began to lobby for a new dome stadium to be built in downtown Houston. Adams was willing to contribute $85 million toward stadium construction but Houston officials and residents were not willing to fund a new stadium. After failing to receive support, the Oilers began looking to relocate, this time to Nashville. On May 5, 1996, metropolitan Nashville and Davidson County voters approved a $144 million bond for stadium construction. Chris Johnson rushes for 2,006 years and wins Offensive Play of the Year in 2009. Steve McNair wins the 2003 NFL MVP. After the 1996 season, the Oilers moved from Houston to Tennessee. The only problem with this move was Nashville did not have a stadium ready for the team. While the stadium was built, the Oilers played at the Liberty Bowl and Vanderbilt Stadium for two seasons. After playing at temporary collegiate stadiums for two seasons, the team finally moved to their new stadium in 1999 and were renamed the Tennessee Titans. On September 12, 1999, the Titans played their first regular season game at the stadium. 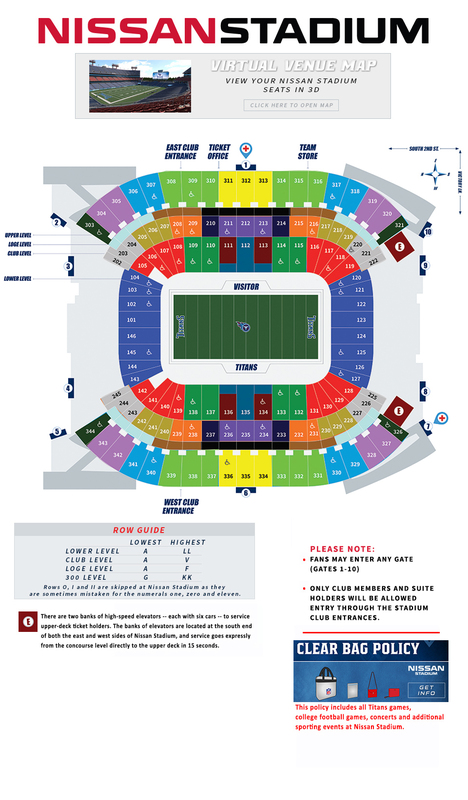 Throughout its relative young history, the Titans stadium has had four names, Adelphia Coliseum until 2002, the Coliseum until 2006, LP Field through the 2014 season and now Nissan Stadium. Nissan North America, the vehicle manfacturer purchased the naming rights in 2015. Nissan Stadium consists of three levels of 69,000 blue and red seats. The lower grandstand circles the entire gridiron. Two other decks of seating are located on both sides of the field. Two scoreboard/video-boards are located behind the seating area in the endzones. Nissan Stadium contains 175 luxury suites, and 12,000 club seats (which make up the second tier of the grandstand). The stadium is also the home of the Tennessee State Tigers and hosts the annual Music City Bowl. 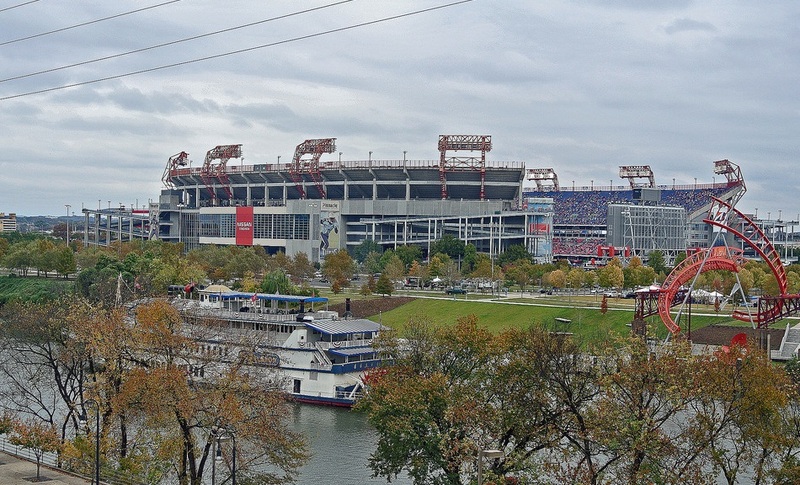 Fans attending games at Nissan Stadium receive excellent views of the nearby Nashville skyline and the Cumberland River.